The wire frame furniture pieces by Warren Planter are clearly for design enthusiasts already since the middle of the 1960es. The Ottoman is the suitable fulfil for the Easy Chair out of the Planter collection by Knoll. The Easy Chair and the Ottoman have initially been presented in 1966. The still modern design proves that good design doesn’t age – since the Planter collection today still has a remarkable number of lovers and fans. The production out of steel wire was extremely complicated and newish then, which wasn’t an irrelevant reason for the fame of the original “Planter Collection”. 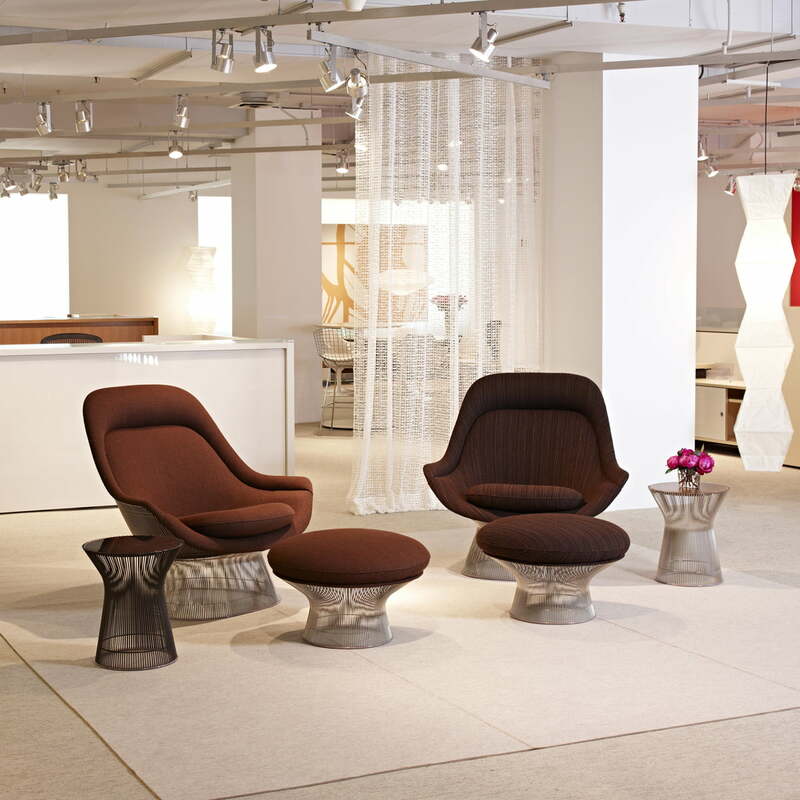 The base construction out of bent wire acts weightless and contrasts the round, comfortable forms of the seat. Thereby it is up to you whether using the Ottoman as stool or as footrest. Thanks to the big shape, the Ottoman by Warren Planter is an extremely comfortable piece of furniture. The Ottoman is wonderfully emphasized together with the Easy Chair by Knoll and it therewith offers the highest sitting and lying comfort. 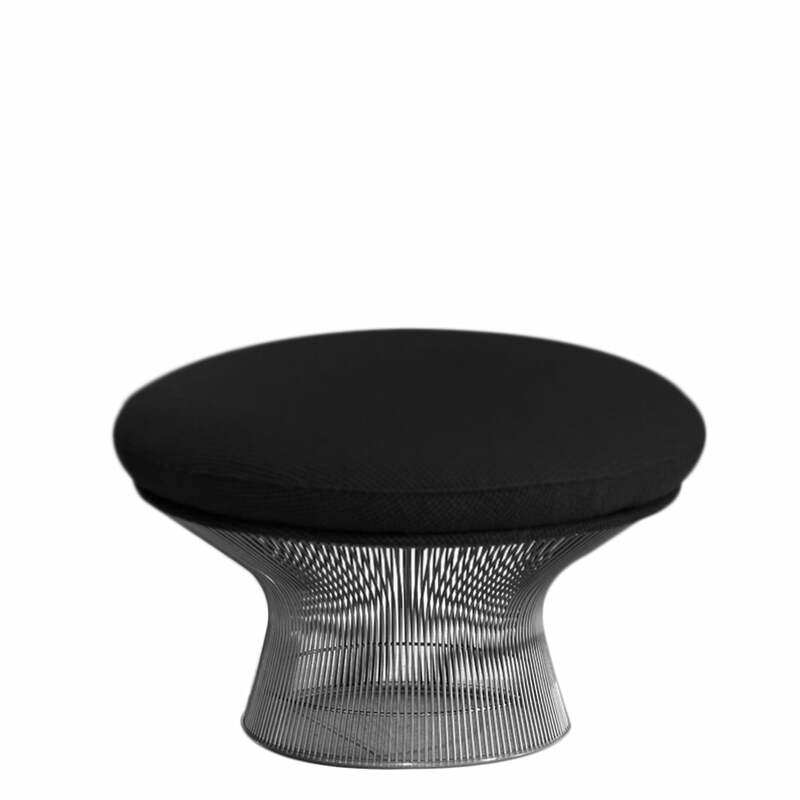 We also offer the Knoll Ottoman with other coatings and in the most different colour combinations. Characteristics: The Ottoman by Warren Planter is available with the most different coatings and colour combinations. Construction: Frame out of steel wire, nickel plated and coated with clear lacquer. Seat out of foam fiberglass.